I’m delighted to announce that the podcast for edition 005 of the Francis Dunnery Radio Show is now available! Posted in: News, ProgSphere. Tagged: DPRP News, ProgSphere News. Turbo Tape Games and Dream Theater have announced the production of ”The Astonishing“ game, based on the band’s concept album by the same name. The game will be released on PC, Mac, iOS and Android in April. “The Astonishing“ game is based on the album’s story, setting, and characters, giving players an opportunity to further experience the world of Ravenskill and the G.N.E.A. while battling Empirical forces and securing man-made artistry’s place in the futuristic world set forth in the universe of “The Astonishing”. Tactical gameplay and a storyline that progresses with the player make this a can’t-miss experience for gamers and music fans alike. The game will share core gameplay mechanics with Turbo Tape Games‘ critically acclaimed “UHR: Warlords”, with several enhancements for this new project. “The Astonishing“ game will be available as a free download for iOS, Android, PC and Mac with a one-time fee to continue playing past the first two missions. The game features both single-player and multi-player pass-and-play same-device functionality. 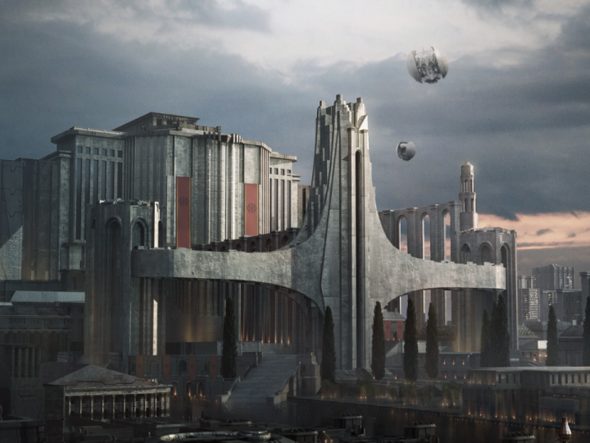 The post DREAM THEATER: “The Astonishing” Video Game to Released in April appeared first on Prog Sphere. 2063 is the seventh solo release from Chester County, Pennsylvania-based multi-instrumentalist/vocalist Har, guitarist/bassist/Chapman Stickist for Beta-Lactam Ring Records recording artists Christus & The Cosmonaughts and solo ambient/atmospheric music artist. Moving away from “pure” ambient music and returning to his progressive rock/hard rock roots, 2063 is a multi-part “musical series” concept album and is the story of Wells, a project engineer trying to deal with his own mortality issues. When he takes advantage of an unexpected opportunity to confront them head-on, the results threaten not only his sanity but the very fabric of time itself. A solo project in the truest sense of the word, 2063 features Har performing on all instruments and vocals, as well as creating the related video/multimedia content himself. Part 1: Wish, was released on September 12, 2015 with digital distribution through his Bandcamp site. Har recently talked with Prog Sphere about his work. Define the mission of Har. If indeed there’s a mission driving my solo musical projects: it’s to simply get the various things I hear and see in my head out, and into a form that other people can hear, enjoy and hopefully get something out of. Really, that’s my main definition of success as a musician. Beyond that, there’s honestly no deep “Har Mission Statement” per se. If anything, I’ve found other people’s interpretations of what my music “means” to sometimes be more complex and interesting than what was originally intended. I’ve always felt music can be a wonderful sort of “sonic Rorschach test” – what people think they see and hear in a musical piece can sometimes say more about the listener than the artist. Stylistically I’ve been on a bit of a changing journey over time. My original early musical background fell mainly into the heavier side of progressive rock, but over the years the majority of my solo releases actually moved more away from rock and into the ambient/dark-ambient/soundscaping realm. For five years I also hosted a fairly popular live online dark-ambient radio show on Stillstream.com called “Nightscaping Radio” that sometimes included my doing live solo long-form looping soundscape performances on processed guitars or Chapman Stick. But over time I started sensing my inner headbanger coming back to life again, and I really wanted to get back to working on louder, faster things instead of long, droning ambient music. However, I also wanted to bring along with me a lot of the more textural and atmospheric elements that I’m known for as well, and try to work more in a hybrid heavy/atmospheric manner. Instrumentally, for the more textural/atmospheric facets of my music I prefer to work with heavily processed string instruments – usually extended-range guitars and basses, and Chapman Stick – rather than synths per se. I have nothing against synths, though: I originally started out formally trained on piano and was mainly a keyboard/synth player for many years. I just find the idea of using processed string instruments personally more fun and challenging. For “2063” my general plan is to keep any keyboard work to just pianos and Mellotron (via the MTron software version), and let the processed guitars handle the rest of the more interesting, textural parts. When working with my recording prog/experimental band Christus & The Cosmonaughts, there’s certainly tons of synth-based electronics provided by my bandmate, synthesist/singer/graphic artist Scot Solida. But even then I stick with guitars, basses and Chapman Stick while Scot handles the more electronic elements. “2063″ itself is based on a story I’ve written, that while mainly science fiction also contains some semi-autobiographical components to it. Parts of it centers around some of my own personal mortality fears and how I try to deal with them, reflected through the story’s main protagonist, named Wells (itself a sideways reference to H. G. Wells, author of “The Time Machine”). If there’s one top-level message or concept that the story is based on, it would probably be: “Be careful what you wish for”. As far as the videos are concerned, my intent is to not try to create fully developed “movies” per se based on the story, but to instead try to provide just enough visuals and then let the viewer/listener “fill in the blanks” themselves with their own imagination, rather than to try to spell everything out for them. I guess this goes back to that “sonic Rorschach test” point I made earlier – sometimes people’s own interpretation of such things can be much more personally satisfying! Well, of course there’s the underlying story behind the concept albums; that’s been written and each “episode” will include a copy of the story and lyrics along with associated artwork/graphics in downloadable PDF format. And speaking of the artwork, sometimes those have generated their own musical ideas after I made them too! Otherwise, many of the musical themes and motifs were built up over time in smaller pieces I’d record, which I then continued to work on. Sometimes they’d end up being their own standalone concept, while other times several parts might get fused together into a larger whole. In terms of working with how the “2063” story itself flows, yes. I do of course also like working with the contrasts and dynamics that often comes with prog in general since it tends to be a very “visual” musical style – light versus shadow, textural/atmospheric versus heavy and dense, etc. For example, the track “Device” has a slow gradual buildup of tension that finally breaks into a fairly heavy section, and then suddenly goes very quiet and introspective sounding again – this is in keeping with the underlying story, so that was deliberately architected and planned out. The EP’s centerpiece, “Sunset 2063” also follows along closely to the specific story arc – specifically, the initial activation of the stolen time-travel device, along with all the hopes and worries that comes with that – so the music’s dynamics works closely with that as well. 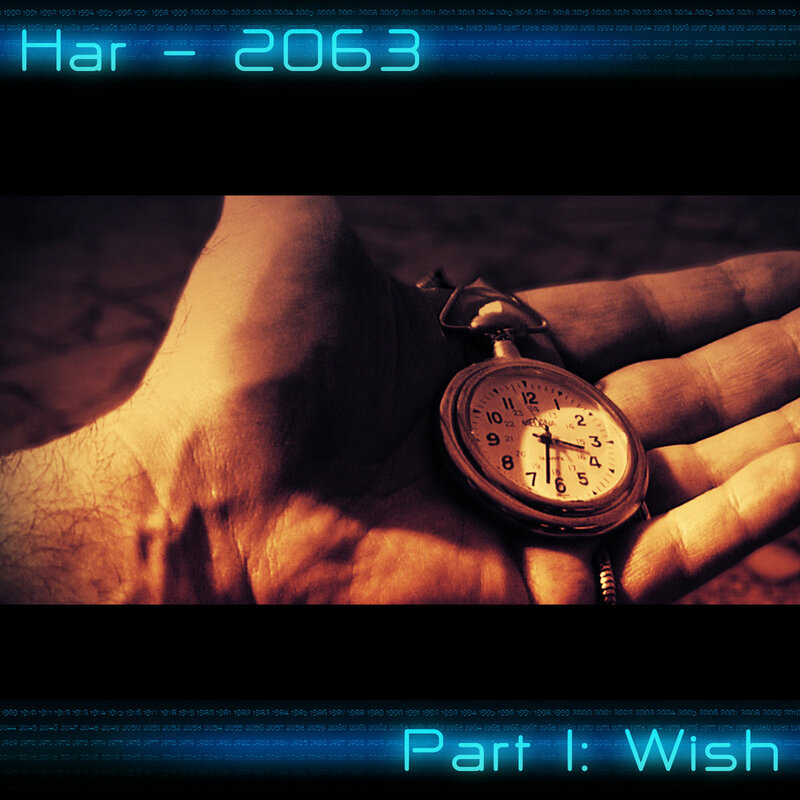 How long “2063, Part I: Wish?” was in the making? The actual recording started back in 2013 and took two years to complete, largely due to my playing all the instruments and singing by myself. Some of the various music themes, though, I’ve either had in my head or have worked on in small bits and pieces for literally decades! In a lot of ways, “2063” contains many of these disparate parts that seemed to finally “fall together”, as if this project was what I’d meant them all to be for all along. “Part 1: Wish” itself is only a five-track EP, which was due to my simply wanting to get this first part completed, released and finally heard as soon as I could – otherwise, who knows how long the full concept album containing the full story would take to finish! But that said, the next parts will likely be a full length albums. That’s a tough question, as I’ve really been influenced in one way or another by almost everything I’ve heard over the years, both good or bad – a lot of things I’ve heard influenced ways I DIDN’T want it to go! I guess my own style has built up a lot of seemingly totally unrelated influences over time. I’ve certainly been influenced to a degree by some of my favorite classic players like Robert Fripp, Dave Gilmour, Alex Lifeson and Steve Hackett – all four of which have done a lot with blending heaver musical elements with more atmospheric ones. And I also really like what I’ve heard from more recent bands fusing heavy and atmospheric as well, like Tool, Tesseract, Mastodon, Porcupine Tree, Deftones, and Skyharbor. I love metal, so bands like Testament, Megadeth, Type O Negative, and Anthrax have left their mark on me too, I’m sure. Then going off into totally different tangents, I’m also huge fan of instrumental surf music – I gig with a surf/punk cover band which is a ton of fun! – so even artists like The Ventures, The Sandals, and The Mermen have had an impact on me. I love a lot of 80’s New Wave music as well, so I’d really have to factor in bands like Ultravox, The Fixx, and Duran Duran too. But with all that in mind, I can’t really say that I ever consciously sat down and studied the actual licks and playing style of any of these artists – even when playing in cover bands over the years, I had a bad habit of trying to put my own spin on things (which would sometimes really piss off the other people in the band LOL). Instead, I’ll usually think of them in terms of ideas and concepts to then build on. For example, I’m a huge fan of Robert Fripp’s groundbreaking work with Frippertronics/Soundscapes which definitely pointed me in certain direction as far as how I approach using looping/layered processed guitar to work up atmospheric textures – but I don’t think I actually sound much like Fripp in that respect. By contrast, I’ve known musicians who’ll say something like “I love Rush, how would Geddy Lee play this part?” when writing a song. I’ve never thought that way. For better or worse, I’d rather try to play like me, not someone else. Something I’ve found interesting is the feedback I’ve gotten from people who’ve heard “2063, Part 1: Wish” – some of them have said they thought they heard influences of artists that I certainly love, but would never have thought of it sounding like, such as Alan Parsons Project or Queensryche. After they mentioned it, I sometimes can find myself thinking “Hmm, maybe that one bit does sound a little like that!”…but it wasn’t something I was actually thinking of when I wrote it. I use it. A lot. [laughs] Seriously, I’m no Luddite. I feel that thanks to the availability of excellent quality affordable technology, this is a wonderful time to be alive if you’re a musician…you have so much power at your disposal now, not just to use to create, but to also get your music out there and heard. Over the years I’ve worked with everything from purely analog tape-based recording, to MIDI when it first came out in the 80’s, to modern DAWs now. In the past I’ve dealt with the headaches of things like tape editing, or the expense of having to record in someone else’s “real” studio when you had no other options. I’ve had to haul around heavy music gear to gigs and recording sessions. Music technology has made so much of all of those a thing of a past, and I happily embrace all of it. I’ve also written a number of music technology articles and reviews over the years for Recording Magazine and Grooves Magazine, so I’m obviously a fan of gear! Not intentionally or by deliberate design, no. As a musician, I’m not out to make deep philosophical statements, or wear my socio-political heart on my sleeve. I’m not interesting in preaching. Sure, my music has important meanings for me personally, but really my goal is to provide something to listen to and enjoy, and then hopefully the listener can then get something out of it all that means something important to THEM. First and foremost, I plan to have Part II of “2063” completed and released more quickly than the two years it took me to do so for Part I! LOL I’m currently working on this now, and really hope to have it completed in 2016. I’m also planning on working up more videos associated with the “2063” project as well. I also plan to work on other projects not associated with “2063” too, both solo and in collaboration with other artists I know, admire and in some case have worked with in the past. Some will be in more the heavy-prog genre, some will be back in the ambient/dark-ambient category (though most likely those will be collaborations instead of solo releases for now). I’m also hoping to record some more with the German synth-pop band elmodic who’s two albums I played guitar on. And of course, I’ll be continuing to work with Scot Solida in our band Christus & The Cosmonaughts. I’m always looking for new and different interesting musical projects to work on, so hopefully the future will continue to be a fun, exciting, and unpredictable journey! The post Interview with HAR appeared first on Prog Sphere. Turbo Tape Games and Dream Theater are proud to announce the production of The Astonishing game, based on the concept album by the same name. The game will be released on PC, Mac, iOS and Android, in Q2 2016! The game is based on the album’s story, setting, and characters, giving players an opportunity to further experience the world of Ravenskill and the G.N.E.A. while battling Empirical forces and securing man-made artistry’s place in the futuristic world set forth in the universe of The Astonishing. Tactical gameplay and a storyline that progresses with the player make this a can’t-miss experience for gamers and music fans alike. The game will share core gameplay mechanics with TTG’s critically acclaimed UHR: Warlords, with several enhancements for this new project. The game will be available as a free download for iOS, Android, PC and Mac expected in late April, 2016. – with a one-time fee to continue playing past the first two missions. The game features both single-player and multi-player pass-and-play same-device functionality. Edition 50 of Emma Roebuck’s Northern Star is now available as a podcast. Edition 49 of Emma Roebuck’s Northern Star is now available as a podcast. Edition 48 of Emma Roebuck’s Northern Star is now available as a podcast. Edition 47 of Emma Roebuck’s Northern Star is now available as a podcast. Edition 46 of Emma Roebuck’s Northern Star is now available as a podcast. Edition 45 of Emma Roebuck’s Northern Star is now available as a podcast.